The American Chiropractic Association (ACA) has made October National Chiropractic Month. The ACA has an online set of tools to help you learn about the benefits of chiropractic care healing for almost all kinds of musculoskeletal pains. In most cases people take painkillers (drugs) to get relief. These painkillers may seem to be an easy-fix, but they can be hazardous to your health, addictive and in some cases only hide the problem, not solve it. However, chiropractic care helps alleviate the pain forever through spinal manipulation, therapies, and exercises. No side effects, drug-free, and non-invasive (no surgeries). Learning to save you money: Chronic and acute pain sufferers waste nearly $100 billion each year on medicines and unnecessary medical procedures. The ACA wants you to know how you can have natural healing without drugs by promoting this National Chiropractic Month. Long-Term Solution: Learn why opioids (drugs) are ineffective in providing long-term relief and why chiropractic care can provide long-lasting solutions. 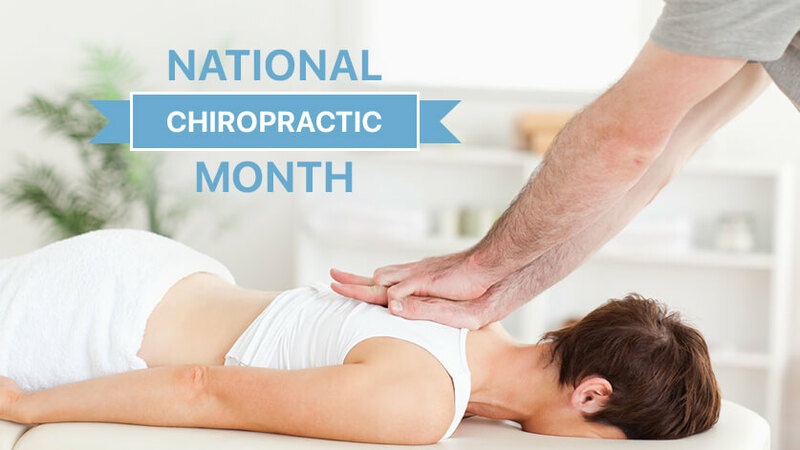 If you, or someone you know, is in pain, take this opportunity during National Chiropractic Month to learn more. Find out how chiropractic solutions from experienced professionals can help you feel better fast and without opioids (drugs). Learn More: Regardless of your preferred treatment method, learn about the techniques involved in chiropractic. The more you know the better you will be and you may be surprised at what you learn. Support Medicare Equality: The American Chiropractic Association (ACA) has advocated federal legislation to give patients Medicare reimbursements. Consult a Chiropractor: Prevent chronic pain through routine chiropractic sessions. Schedule an appointment with a qualified, experienced chiropractor like Dr. Scott Jutte in October. Talk about Your Experience: When you tell others about how chiropractic solutions helped alleviate your pain symptoms, people will feel better about trying chiropractic care themselves. Tell your story on different social media platforms this month. You can learn more now by visiting http://dickson-chiropractic.com.